Using a residential fridge anybody? Re: Using a residential fridge anybody? I wonder how many of you dear friends running gas fridges turn them OFF (as the law requires) every time you enter a diesel fuel station? Just curious. We had a large Dometic in our 32-foot fifth wheel, and it gave a lot of problems on the gas side. Always worked fine on AC, though. I used an apartment sized fridge and was very happy with it. On the install I carefully adhered to dimensions recommended. Several years go buy and the fridge needs service, so at a couple hundred dollars for a new one, I decide to replace it instead. I uninstall it and put it to the curb where it is picked up by scrappers. I go buy a new one about the same size, well I tried and tried to buy a new one the same size, no such animal, whats the term unobtainium? 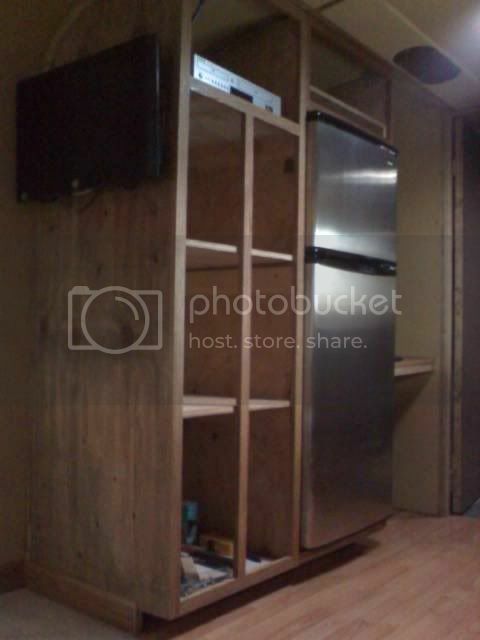 I suggest being very generous with space around the fridge, maybe build for the next size up. My problem was height, and the curvature of the ceiling, put the new fridge out a couple more inches than I liked. Every new one was taller than the one I purchased! I have had both types of frig. I like the cost and low maintenance of the compressor type and the flexibility offered by the absorption. Things always involve compromises. Ultimately, for the camping we do, absorption is better. 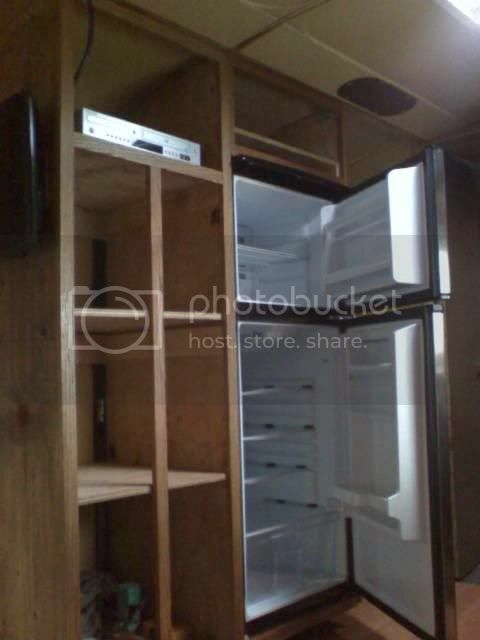 Re: Re: Re: Using a residential fridge anybody? How big is your battery bank now that you have upgraded it? I'm a boondocker myself and I really love LP for that reason, but I'm now having some problems with my Dometic. It's working good on the freezer side but not the refrigerator side when on LP, but it works great when on electric. I've thought about switching also, but just not sure if it will work for boondocking. Add me to the residential list. Just bought and installed a 10.3 cu ft yesterday. Ran it today for just a little while and it got nice and cold...quick. My bus is all electric so the apartment fridge makes sense for us. We started with a larger (taller) fridge and ran into an issue!!! Have a huge double door installed in our coach a couple years back, The boys at Texas Custom Coach (Pipe Creek Tx.) put that puppy in. Little sawing and wood work. Matched it perfect. Said they had to take the passenger window out and slide it though there. Man , if I would have known that , I might have went with a smaller one. Steve, we installed a Danby 10 cuber, very light weight and works like a charm. It has ample room inside for our needs. I am going to install a second unit right next to it, with the doors swinging from the center out just like a regular double door fridge. Ours is built in, mounted 4 inch's off the floor with a grill to let cool in and now has a similar vent right above to let the heat out. Uses very little power, and cheap enough to replace if 1 goes down and readily available.